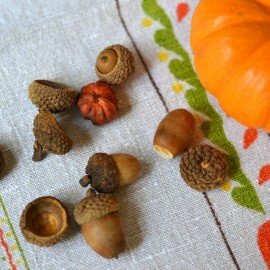 Pumpkin Spice Cool is a variation of recipe I used to make called Chocolate Cool! 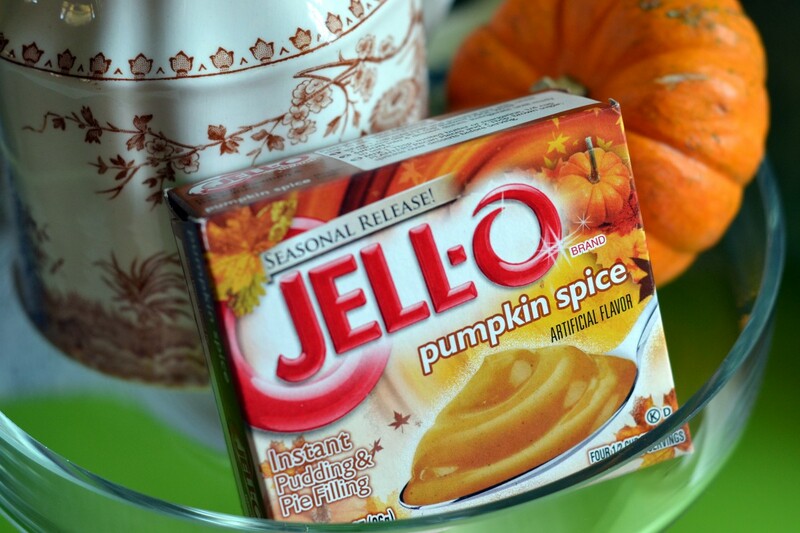 Don’t get me wrong, I love the chocolate version, but thought I would try substituting pumpkin spice pudding for the chocolate pudding. 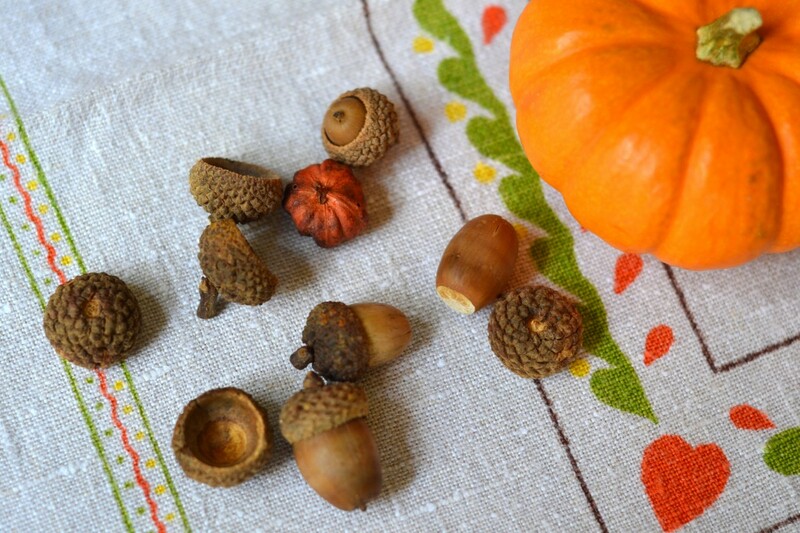 Seemed like the thing to do with Thanksgiving right around the corner! One thing I like best about this dessert is the crust! It’s not sweet and reminds me of shortbread. 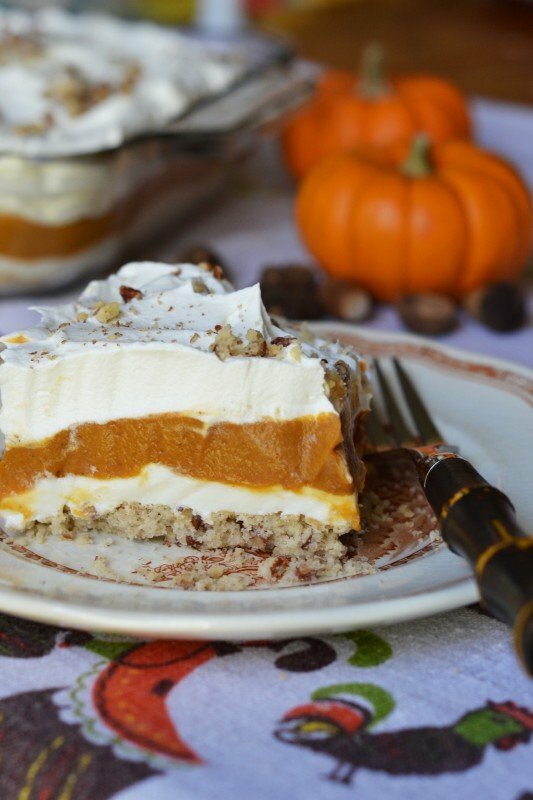 Luckily, this variation is a hit ‘cause we have a 9”x13” dish of this pumpkin deliciousness! Here’s the recipe. Mix together and spread on the bottom of a 9”x13” dish. Bake at 350 degrees for 15 minutes or until lightly browned. Cool. Mix together with mixer and spread on top of crust. Mix until thick. Pour on top of cream cheese layer. 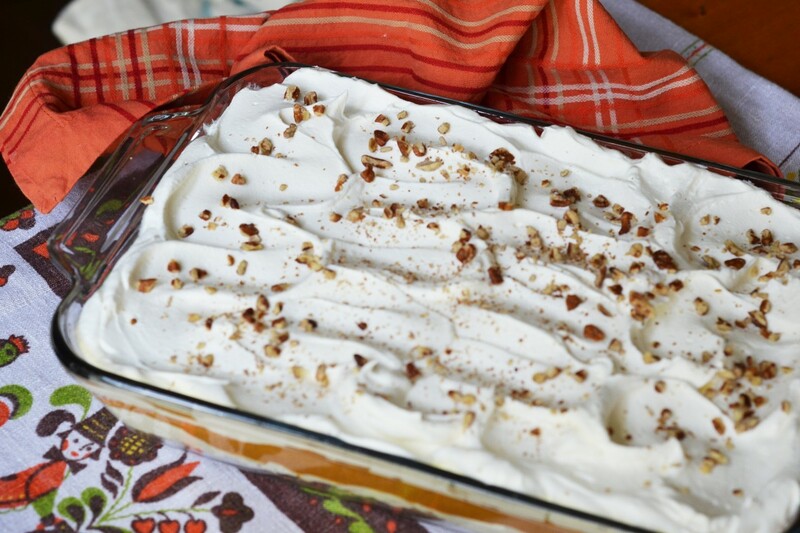 Top with Cool Whip and toasted pecans. Refrigerate for 6-8 hours before serving for best results. You can cut into squares and remove with a spatula or spoon into bowls or parfait glasses. This looks really good. 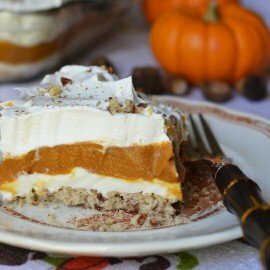 I think I will try the recipe however I want to try to substitute the instant pudding with home made pudding and adding pumpkin pie spice. I will let you know if it comes out. That’s a great idea! Can’t wait to hear how the homemade pudding version turns out! Will you add pumpkin also? 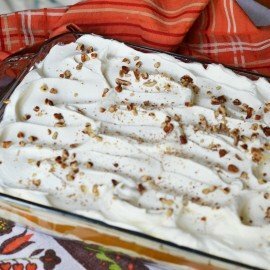 I made this for Thanksgiving and it was a big hit! So yummy! Yay!! Glad to hear it! Thanks for trying it! 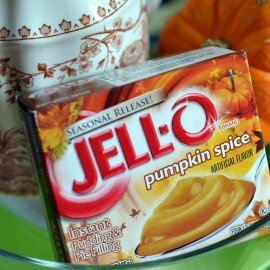 Pumpkin Spice pudding mix is at my local WalMart right now! It’s a seasonal item, so buy it now before it’s gone for another year! It’s in the center food aisle on a seasonal display…hopefully it is at your WalMart, too!